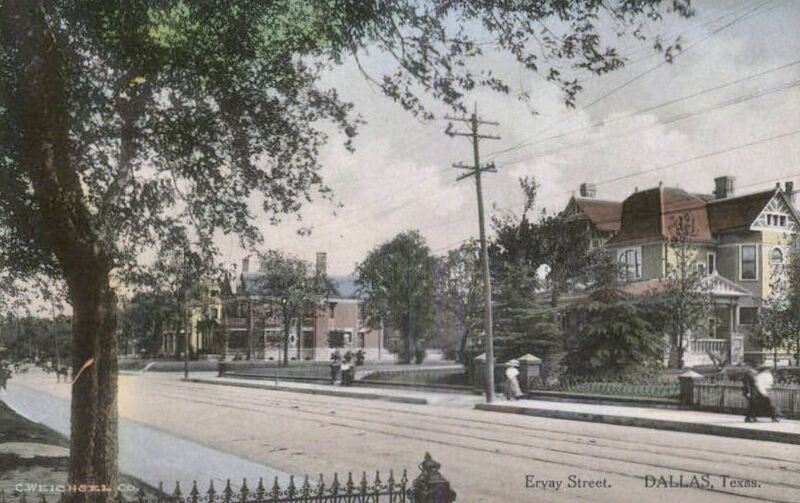 Today, a few hand-colored postcards from around 1910 showing the lovely houses that used to line Ervay Street in South Dallas. 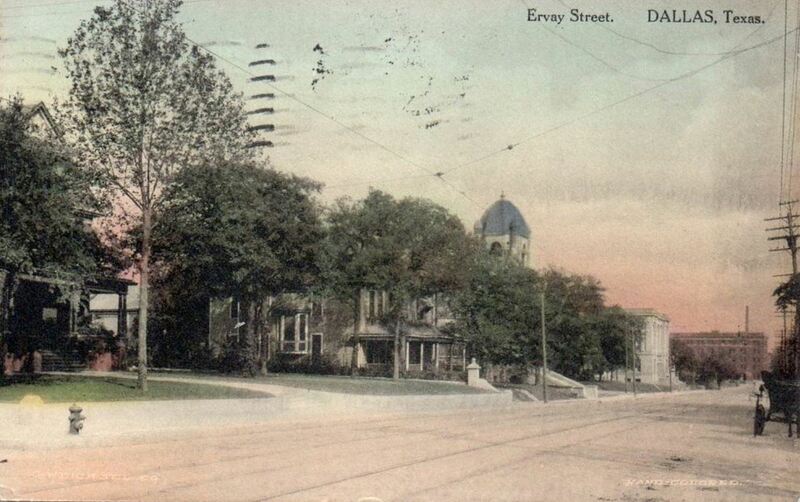 Hard as it is to believe today, the stretch of South Ervay from just outside the central business district down to its end at Forest Avenue (now Martin Luther King, Jr. Blvd. 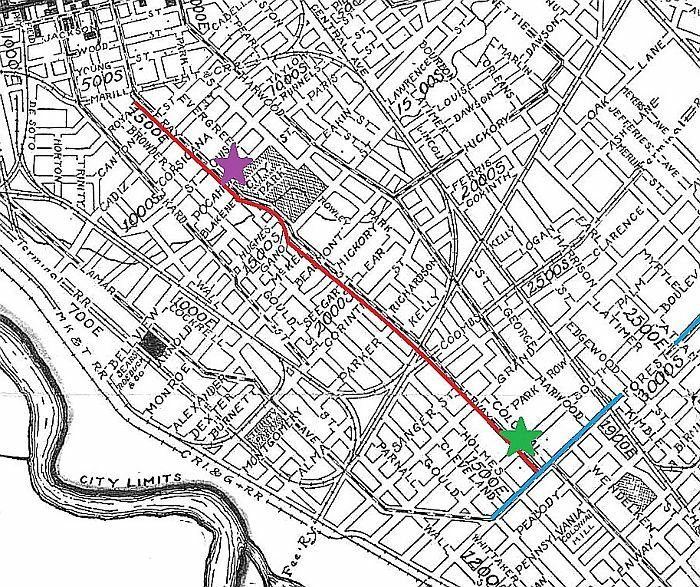 ), was once a very nice area where many of the city’s most fashionable and well-to-do Jewish families (and, later, African-American families) lived. 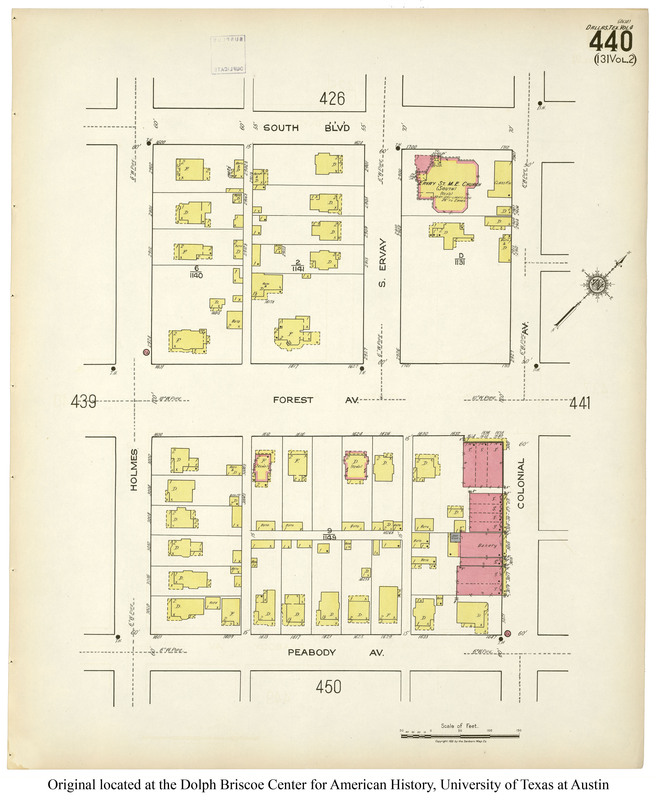 The intervening century has not been kind to South Dallas. 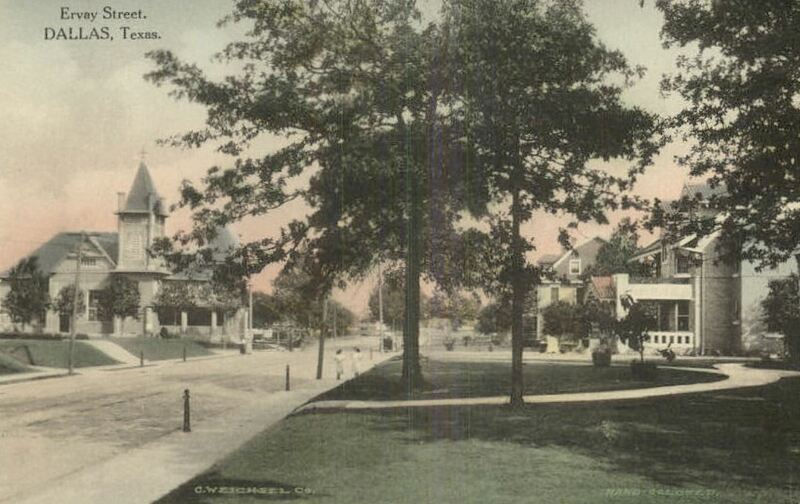 I’m not sure of the location in the postcard above, but it certainly looks like a very pleasant neighborhood — one that no longer exists in this mostly blighted area. 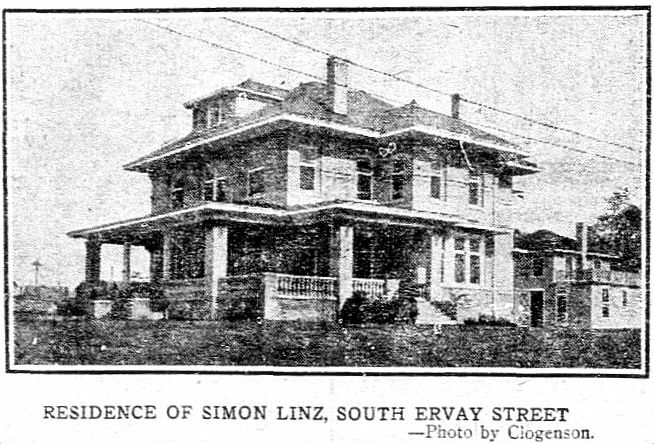 Below, S. Ervay looking south. The rounded top of Temple Emanu-El can be seen at the left. The light-colored building in the next block was the Columbian Club. 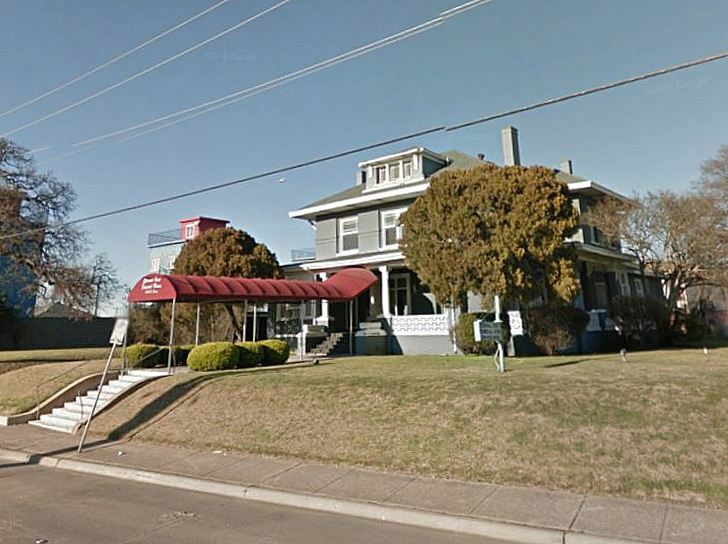 The hotel most recently known as the Ambassador (which is still standing) in set back on a curve of the street and is hidden by the Columbian Club. The red building is the Hughes candy plant (also still standing). A Google Street View of this area today can be seen here. 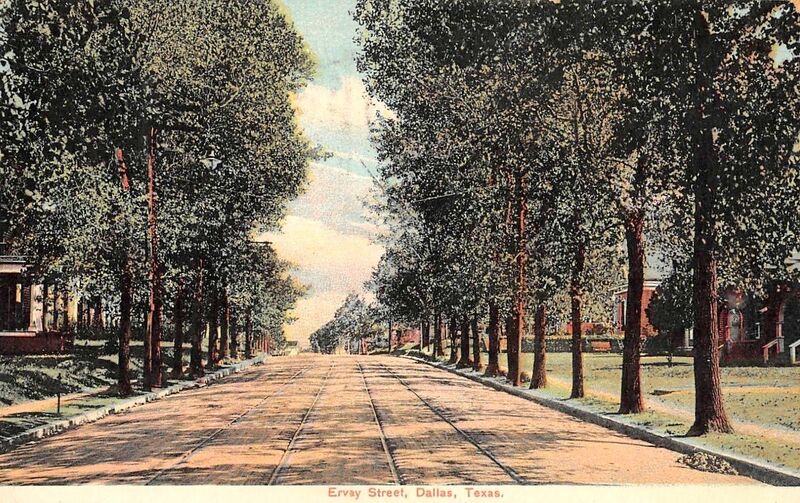 This was once such a beautiful part of Dallas…. First and third postcards are from Flickr: here and here. Others found on eBay. Evelyn Oppenheimer in her A Book Lover in Texas devoted a few pages to growing up in the early years of the twentieth century as an only child in a big house at 1619 South Ervay. One can only wish she’d written more. I actually read that chapter yesterday! I miss home but when I go online every land mark is now gone that was home . A lot of landmarks have disappeared, but a surprising number are still here!